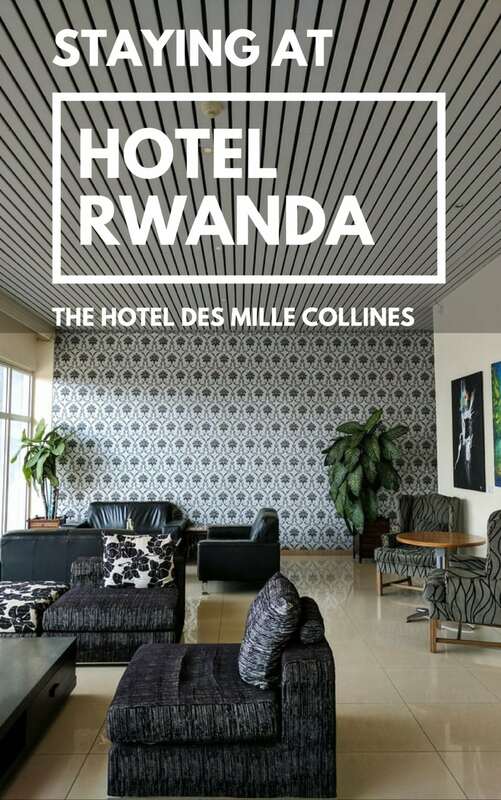 On our recent visit to Rwanda, we stayed at a gorgeous hotel: The Hotel des Mille Collines. But more noteworthy than its cute decor is its history. 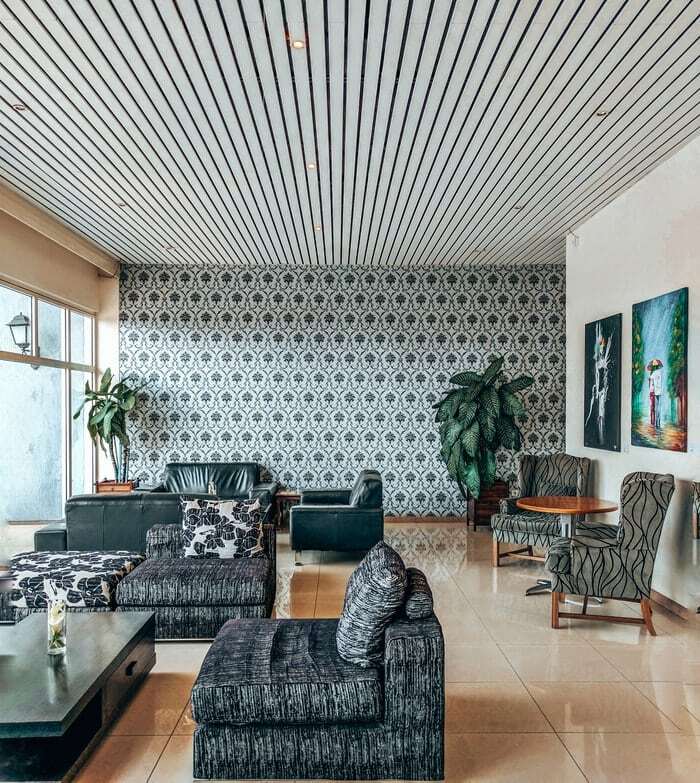 This hotel was made famous for the role it played during the 1994 genocide. 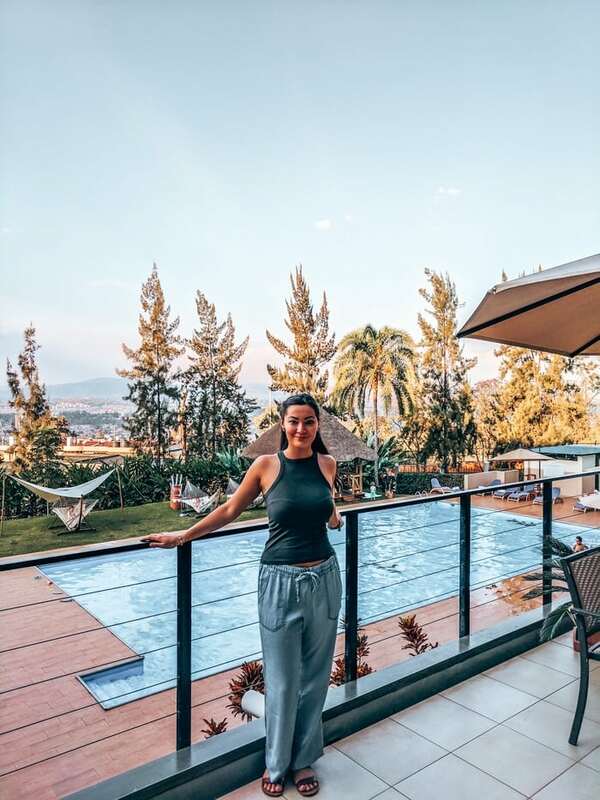 The Hotel des Mille Collines, maybe better known as Hotel Rwanda, was made popular by the 2004 film about the Rwandan Genocide. In director Terry George’s Hotel Rwanda, the Mille Collines stars as the central place for refugees during the 1994 Hutu attack against the Tutsis. If you don’t know about the sobering truths of the Rwandan genocide, you can read more here. 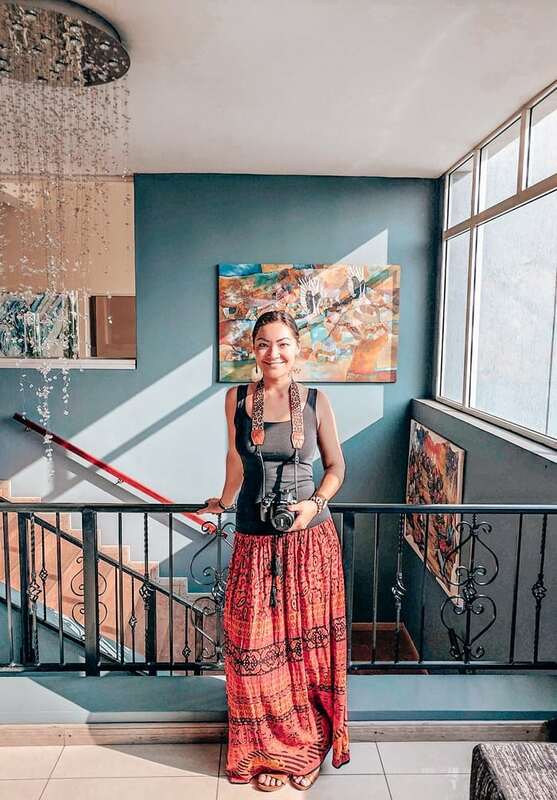 While the Rwandan locals told us that some of the story was not quite as was told in the movie, the hotel still saw history be made, and opened its doors to refugees. My favorite thing about the hotel is its gorgeous pool and lobby. The pool area feels like an oasis- with views of the rolling Rwandan hills, a spa cabana, gorgeous hammocks, and palm trees all around. And another amenity that isn’t listed on any hotel booking site is the staff. They were kind and accommodating with our check out times and our use of their luggage storage room! 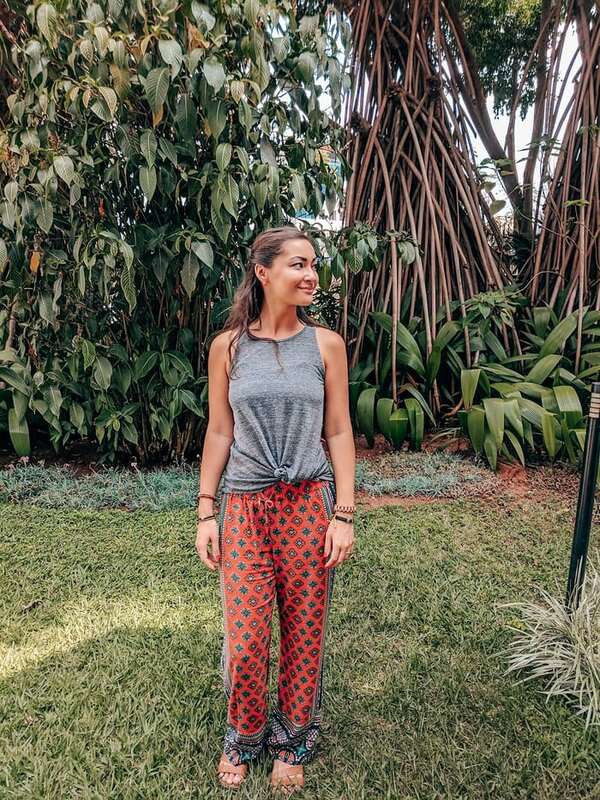 We spent five nights in a row, then took off for four days to go gorilla trekking and to the western border, then came back to the Mille Collines for one more night. And they kept the extra luggage we didn’t want to haul around with us at no cost. When we returned, the hotel manager had handwritten a personal card thanking us for returning! There was a fruit basket with pastries and chocolates waiting for us. There are four different dining options at this hotel- the pool bar, La Terrasse, Legacy Lounge, and Le Panorama. The Panorama, pictured here, has THE most delicious food. Their steaks are perfect, and appetizers are to die for. 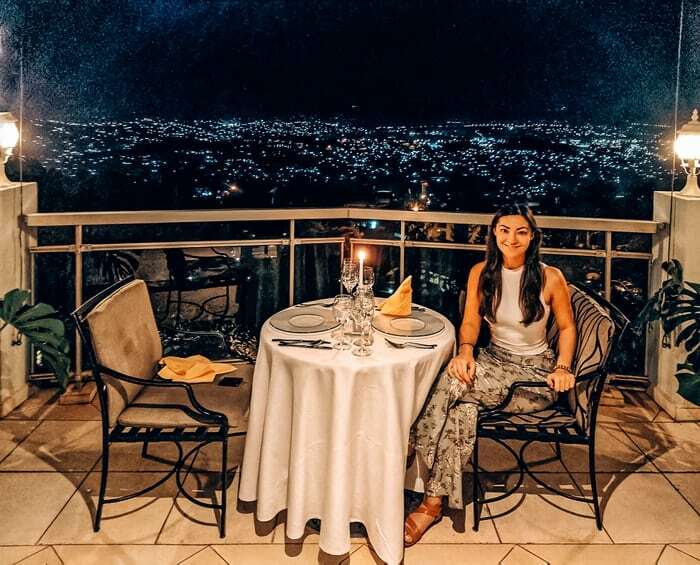 And you get to enjoy your meal overlooking the city lights. This low quality photo hardly does it justice. The Mille Collines is in a perfect location. For two main reasons: taxi proximity and Bourbon cafe. You can easily walk to both of these. A bunch of travel sites told me that taxis were hard to get in Rwanda- imagine my surprise when there was a taxi stand right next to us, with taxis constantly available! 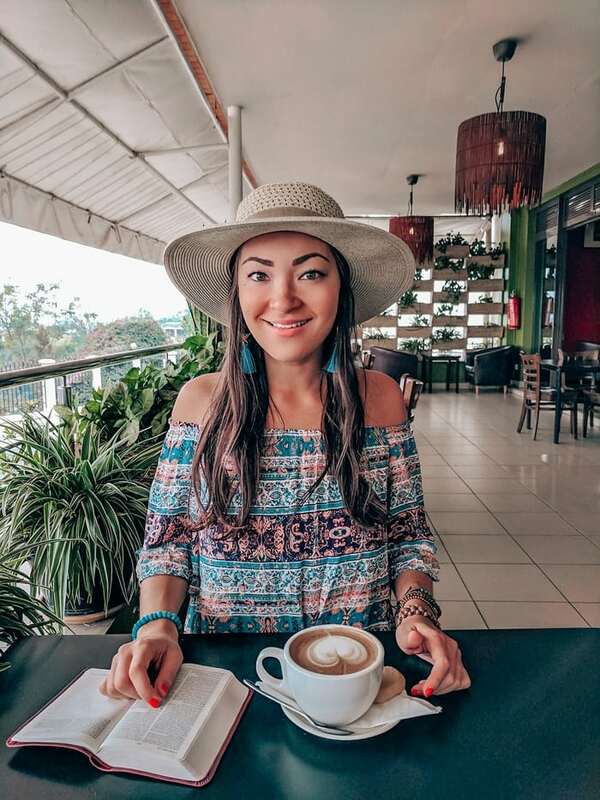 Bourbon Cafe is a Rwandan coffee shop and cafe- they have the best coffee in the world. 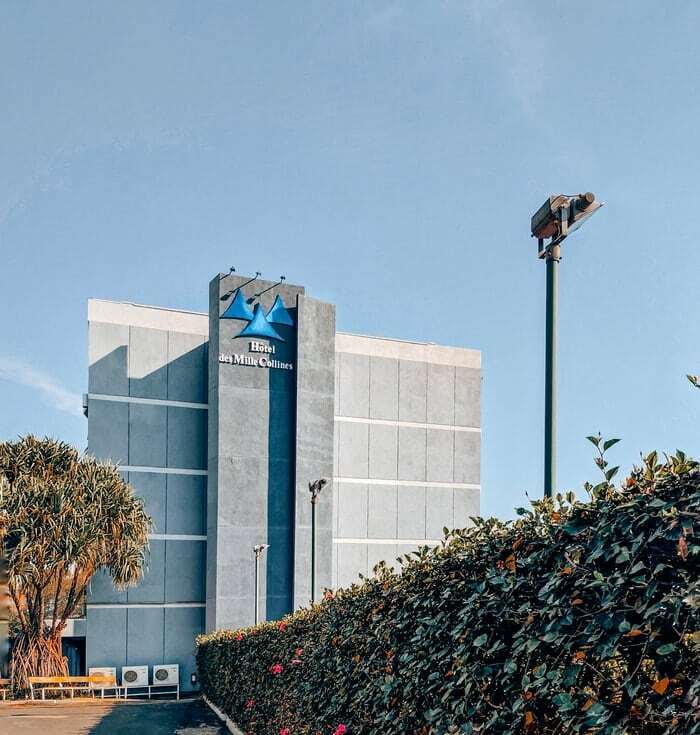 Yeah, the hotel is also by a supermarket, across the street from the Tourism Board if you need to pick up your gorilla permits, and a short taxi ride away from great restaurants. But Bourbon cafe quickly became a morning routine and it is sorely missed! 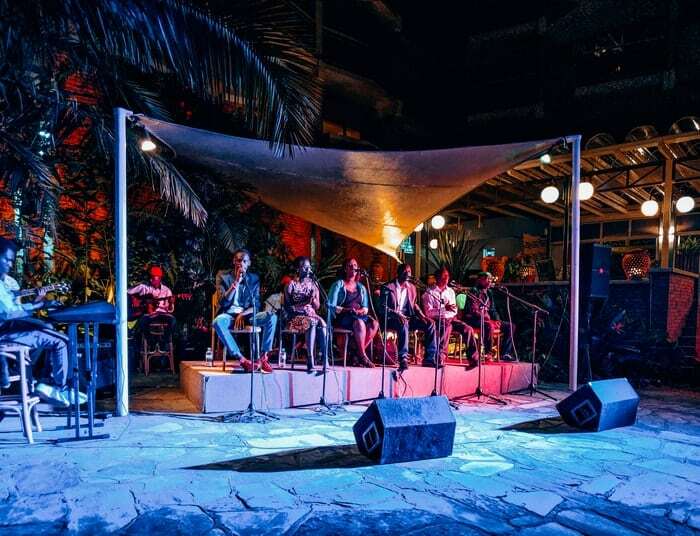 The Hotel des Mille Collines also featured great live music and free events. We loved hearing these local voices perform out by the pool one night. 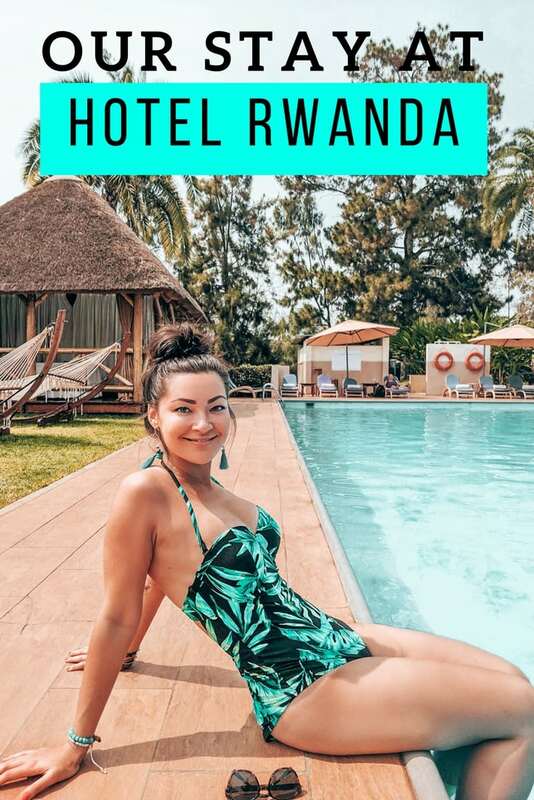 I searched all hotels in Kigali on booking.com to try to find a hotel that was: nice, clean, had good food, was high quality, in our budget, had a pool, and was in a good location. The Mille Collines fit the bill. There are plenty of cheaper options, but we loved being able to come home from busy days to some great amenities in a luxury atmosphere. And its history made it a must! Though the upstairs hallways could be a bit brighter, and the rooms could use a bit of updating, the gorgeous lobby, restaurants, pools, kind staff and history make this hotel worth every penny. If you’re thinking about booking your stay, I highly recommend it! We will be back!